We often hear about breakfast being the most important meal of the day – but why? When you wake, it’s important to break your overnight fast with breakfast. Eating and exercising wakes up your metabolism and refuels the brain to get it ready for another day. It keeps you tuned in. 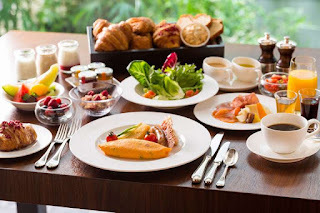 Breakfast helps you reach your daily recommended servings of fruit and vegetables. Those who eat breakfast also tend to consume more milk and whole grains than those who skip the meal. And as you probably know, milk offers up important calcium for your body. Breakfast also fills your stomach, helping you to avoid overeating and snacking later in the day. People who skip breakfast tend to gain extra weight, according to studies. Weight gain contributes to high cholesterol and high blood pressure, which can contribute to heart disease. Of course, what you eat matters as much as when you eat. Make sure you consume healthy grains, proteins, and fruits and vegetables.